The USA Patriot Act, thrust upon U.S. citizens in the wake of tragedy, plays on fear to ignore our Fourth Amendment rights. In his 2006 paper, “Questioning Surveillance and Security,” Professor Torin Monahan poses several questions challenging the current idea that we must trade civil liberties for the sake of national security. Monahan is a Professor of Communication at The University of North Carolina at Chapel Hill, where he continues to study how our institutions develop policy regarding new technologies. His research primarily focuses on surveillance and security programs. At this time, he has published multitudes of papers and five books on the matter. Monahan is currently the Co-Director of the International Surveillance Studies Network, a non-profit organization which is dedicated to studying all forms of surveillance and believes in the free distribution of scholarly information. The group publishes a journal entitled, “Surveillance and Society,” as well as acting as a clearing house for research. Monahan believes that the wrong questions are being asked when it comes to surveillance and security. This is important today because our government has recently voted to renew Section 702 of the Foreign Intelligence Surveillance Act, more commonly known as FISA. The reauthorization of this section is a glaring example of the trade-offs that Monahan speaks of in his paper; the trade of civil liberties for a sense of national security. Monahan introduces us to some of the methods by which surveillance is thrust upon us by referencing a case in the United Kingdom in which a young boy was kidnapped from an inattentive mother, walked around for two miles, and subsequently beaten and run over by a train. Some of these events were recorded on local Closed-Circuit Television networks or CCTV. Nevertheless, the United Kingdom erected a vast network of over four million cameras to monitor its citizens. We have had similar instances here in the United States and have adopted many of the same practices to monitor our citizens. In a 2011 article for NBC News by Allison Linn titled “Post 9/11, surveillance cameras everywhere,” Linn states that there are an estimated 30 million more surveillance cameras in America despite the fact that we hadn’t had any terrorist attacks in the decade following 9/11. As Monahan concludes, these cameras are primarily used to record your average citizen and the occasional thief at the department store or dole out millions of tickets for minor traffic or parking violations. In the United Kingdom, they have claimed that these programs were successful at reducing crime but similarly in the United States, very few studies have been conducted, and the ones that have been produced inconclusive results. 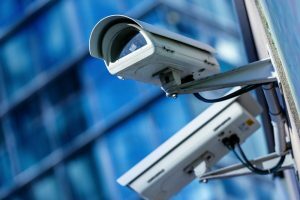 Where the two means of surveillance differ is the fact that in the United States, most of the cameras are pointed at low-income populations and go largely unmonitored. Here, we consider them to be theft deterrents and public safety devices and thus, don’t request oversight or evaluation. This is an example of the trade-offs that Monahan speaks of in his paper, one where we trade our right to privacy in the idea that we are being protected and criminals will be caught. Since the September 11th, 2001 attacks on New York and Washington, D.C., we have been in a perpetual state of fear which is induced by our government and its defense departments, intelligence agencies, and politicians. To combat this fear, our federal government enacted the USA Patriot Act of 2001. Even this name was used as a rouse to convince the public that the act was for their protection and a show of solidarity in the face of a horrible attack. This name is actually an acronym which stands for: “Uniting and Strengthening America by Providing Appropriate Tools Required to Intercept and Obstruct Terrorism Act of 2001.”—in other words, surveillance. This act not only allows any law enforcement agency to dismiss our fourth amendment rights which protect us against illegal search and seizure, but it also grants agencies such as the FBI the power to surveil cellphone data, internet search history, medical data, all the way down to what a suspected terrorist has checked out from the local library. The Patriot Act also allows the detainment of anyone for an indefinite amount of time at sites both in our country and off our soils at Guantanamo Bay, Cuba. This act has been consistently renewed, most recently by President Barack Obama in 2015 for another four years. Obama stated that these programs had suitable oversight to thwart potential privacy abuses, claiming that they have been proven to produce results in preventing terrorist attacks. As if the powers that were granted by the USA Patriot Act weren’t enough, Section 702 of the Foreign Intelligence Surveillance Act grants more. In theory, this act only affects foreign agents and we, as Americans, are safe from its reach. In actuality, this section is far more dangerous than it sounds. Under the original FISA, surveillance was only authorized for suspected terrorist targets, spies, or agents working for a foreign power. With the addition of Section 702, that is no longer a requirement. The NSA can legally spy on Americans for something as simple as stumbling across a foreign webpage or sending an email to someone who they have flagged as a “foreign agent.” This is accomplished by them legally spying on the point of contact abroad and thereby any American who they are in contact with. They do have to obtain a warrant to do so—however, not in a traditional court of law. Requests are made at special FISA courts and warrants are granted at a 94% approval rating under the guise that national security is in threat. The NSA has several tools at their disposal to gather information, and these are the tools that were created by the USA Patriot Act. The two known tools are PRISM and Upstream. The NSA’s “Planning tool for Resource Integration, Synchronization, and Management,” or PRISM, was created to collect “foreign intelligence” that happens to pass through American servers. This program was not only up and running for years without our knowledge until Edward Snowden blew the whistle on the NSA’s data collection programs, but its existence was vehemently denied for quite some time afterward. The NSA claims that this tool cannot be used to intentionally target a United States citizen and that a huge amount of internet traffic is routed through the United States and foreign information is stored on servers located here as the majority of Google and Facebook users are non-American. The NSA receives large chunks of bulk data from companies whose resources we utilize on a daily basis. Companies like Microsoft, Yahoo, Facebook, Apple, YouTube, Skype, and Google are all willing participants of this program and approve about 99% of all requests for data by various government agencies. As we become more connected and tend to read the End User Liability Agreements or EULA less and less, we are putting all our demographics and personal lives into the cloud. When an intelligence agency requests a block of information from one of these companies, they receive all the data for that time period, and PRISM not only filters out foreign threats, but also collects data on American citizens. Through recent legislation, this information can be used against you in a court of law and isn’t considered to be illegally obtained due to the Patriot Act. Another tool used by the NSA is Upstream. This program collects all communications to, from, or regarding a particular individual. This includes internet traffic as well as instant messaging, email, voice-over internet protocol (VoIP) calls, and now many cell phone conversations as most new smartphones utilize VoIP technology to place and receive calls. Where PRISM deals with mass amounts of raw data and has to be analyzed, Upstream isolates a specific user and collects the raw data of a single user. Unlike PRISM, Upstream does not have a request process that must be followed to gain the data from private companies; it is embedded at the internet gateway level at the backbones of our national internet service. The NSA is the only agency that is authorized to receive this data; however, it has the right to pass on its findings to the CIA and FBI once information that it deems sensitive is redacted. Each agency has a minimalization procedure in which it follows before passing information on to a lesser level of security. These policies and the allowed search parameters remain unpublished, and no one is quite sure how they are enforced or regulated. If you look at the official NSA website, you will see an article explaining how Section 702 is used. It states several times that these tools which the Patriot Act and Section 702 permits them to use cannot be used against American citizens. According to the Center for Democracy and Technology, this is not the case. The “Backdoor Search Loophole” allows the NSA, CIA, and FBI to search 702-acquired information, while cross-referencing American citizen identifiers such as names, addresses, telephone numbers, or web handles. All of this information would normally require a warrant and have to be subpoenaed from individual private companies to aid in an investigation or to be admissible in court. There are policies in place which require the NSA and the CIA to submit a document stating that the requested information is likely to return foreign intelligence information; this requirement does not apply to the FBI. Under normal federal law, any information obtained without a warrant would be considered a violation of our fourth amendment rights. This type of information would be labeled as obtained through an illegal search and seizure and therefore inadmissible in a court of law. The Patriot Act bypasses our fourth amendment rights and allows for information collected under Section 702 to be introduced as evidence in all levels of our justice system. The act allows for this information to be used in the event of any “serious crime,” a purposely broad term. Monahan asks, “How can Surveillance Be Used to Increase Security without Sacrificing Civil Liberties?” He titled a section of his paper with this question, and his answer was clear. He claims that we must first ask the right questions which focus on creating a better relationship between communities and law enforcement agencies and officers. We need to evaluate the true motives behind the surveillance equipment and technologies that we employ in order to determine if they are truly appropriate, making it easier to regulate and govern them. He points out that security and civil liberty are not on the same scale and that by building one up, you don’t necessarily diminish the other. To illustrate this, he gives the example of a body screening system at an airport which superimposes contents of the scan onto a sexless mannequin. Not only does this device make airports more secure, it also takes privacy into account by not displaying an anatomically correct picture of the person inside the device. Most importantly, Monahan points to transparency. He claims that by dissolving the many layers of ambiguity involved in our domestic surveillance practices, we would know exactly who owns the collection devices, what information they collect, and how long that information is retained. That knowledge is the key to successful surveillance while maintaining our civil liberties. I believe that there are too many persons involved with our surveillance practices and there should be better regulation of it. Like Monahan, I think that transparency is the solution because, as citizens, we have the right to know how much of our personal data is collected and how long it remains archived. When we enter into any binding contract or agree to a EULA, the terms are clearly stated, and we are able to hold the other party liable to that agreement. With the tools created by the USA Patriot Act, we have no idea what information is being legally collected by our government and how it can be used against us in the future. With constant data breaches and leaks, much of our information can fall into the wrong hands. This is exactly why the argument “I don’t have anything to hide” is a dangerous one. Often times we step into grey areas on the internet and those mindless actions could result in massive fines or criminal charges in the hands of an overzealous agent in a cubicle somewhere. Click on a link to watch a movie online thinking that you are on a legitimate site and you could end up with a fine between $750 and $30,000 per instance! With blanket terms like “serious crime,” the FBI can use Section 702 collected data against you for just about anything. These agencies tend to target an average American every so often just to make an example out of them, such as the woman from Minnesota who was found guilty of downloading 24 songs and was subsequently fined $80,000 per song. There are several studies that have been conducted, and they all pretty much say the same thing. After 17 years of heightened surveillance of American citizens, the NSA says that these programs have stopped 50 threats. But everyone else, including the White House, says that they have stopped zero, though they did result in the arrest of one single terrorist. These programs targeted at Americans are a gross violation of our civil liberties. Bilsker, R. (2010). Technology and society: Classic and contemporary readings. Dubuque, IA: Kendall Hunt Publishing Company. Riley Bosworth (Rye Bred) is a community activist and non-traditional student at the age of thirty-one. He is currently attending the College of Southern Maryland, majoring in Social Sciences and Human Services, and is a member of the Phi Theta Kappa Honor Society. He is the founder of Lexington Park Community Closet, a non-profit organization which focuses on providing free clothing to local persons in need.